Braces are considered traditional orthodontics and are an excellent option for correcting a misaligned bite, straightening teeth, and enhancing your smile. Although braces are a more visible option of straightening teeth, they are extremely effective, and many people still prefer to be treated with braces. 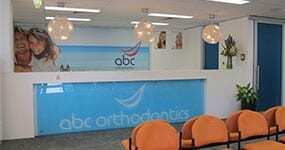 We use American Orthodontics Empower braces a technically advanced style of self-ligating braces. Self-ligation is one of the industries leading treatment trends and an option that can provide benefits for you. Empower braces can help make wearing braces a more positive comfortable experience. 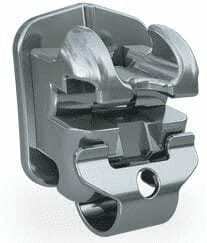 The technology in Empower self-ligating braces uses a mechanism called a clip that is built into the bracket and is able to be opened and closed over the arch wire, making the use of rubber modules or ligature unnecessary, allowing for easier wire adjustments, more comfortable adjustments and less frequent orthodontic adjustments which means less chair time for the patient. State of the art self-ligating clips hold the arch wire in place instead of rubber bands (ligatures), allowing for quicker and potentially more comfortable wire adjustments. Empower uses strong, heat treated chromium cobalt clips instead of traditional ligatures that are prone to discoloration, lose their effectiveness over time, and require frequent replacements. Eliminating ligatures also eliminates one of the leading food traps. Empower’s contoured edges and sculpted, low profile design mean a smoother surface against your cheeks and lips. 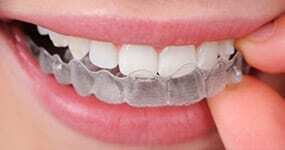 American Orthodontics Empower Clear is another type of self-ligating bracket we offer. Empower Clear is a technologically advanced ceramic bracket that offers you the benefit of a more cosmetic treatment choice and less noticeable braces. Using the same technology as the Empower metal braces with self-ligating technology using a mechanism called a clip that is built into the bracket and is able to be opened and closed over the arch wire, making the use of rubber modules or ligature unnecessary, allowing for easier wire adjustments, more comfortable adjustments and less frequent orthodontic adjustments which means less chair time for the patient. Empower Clear Braces are made of strong ceramic material that looks great on your teeth. You’ll be noticed, your braces won’t. State of the art self-ligating clips eliminate rubber bands (ligatures) to hold your arch wire in place, allowing your orthodontist to make quicker wire adjustments. This could mean shorter appointments, and may even reduce the total number of visits required during your treatment. Empower Clear’s contoured edges and sculpted, low profile design mean a smoother surface against your cheeks and lips. 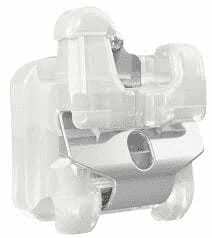 Self ligating clips eliminate plastic ligatures, which are prone to discoloration and fatigue over time. This, combined with the extremely stable ceramic bracket body material, reduces any risk of staining. Your Empower Clear Braces will stay beautiful throughout treatment. Dr Kosy is commited to providing our patients with the Amazing bite, Brilliant smile and Caring treatment they desire. 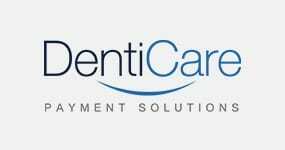 Feel free to contact our office on 1300 794 797 to ask about Empower Self-ligating braces, or to organise an appointment for a ‘Gap Free’ consultation. For more information regarding the types of Braces we use at ABC Orthodontics, please download our Braces Guide.